Dimensions 0.25 by 6.50 by 9 in. Amazon.com description: Product Description: Written in the 6th century B.C., The Art of War remains the ultimate guide to combat strategy. Sun Tzu explains when and how to engage opponents in order to prevail in difficult situations. Instead of describing the logistics of warfare, he shows the reader how to succeed by motivating soldiers and leveraging tactical advantages. In short, he explains how to win the battle of wits. 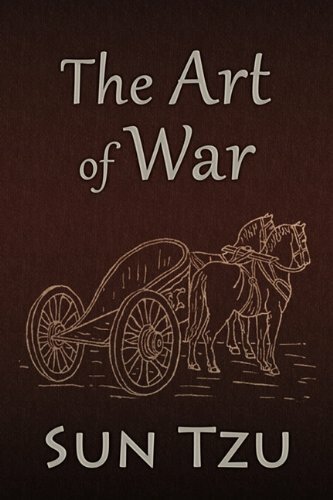 Though it was written for the battlefield, The Art of War contains valuable advice for other endeavors as well. Tzu's work has been lauded by sports coaches, business executives, and other leaders of the 21st century. This edition contains the translation of Lionel Giles, widely considered the most faithful and authoritative translation. About: To mark its tenth anniversary, Long River Press is releasing a paperback edition of its first published book, Sun Tzu's classic The Art of War.